When you think of food in London Bridge you undoubted think of Borough Market. Flooded with tourists daily it’s a foodie hot spot. But what if you want to get some fresh made grub, without the madness of Borough. Well, that’s where London Bridge Farmers’ Market comes in. 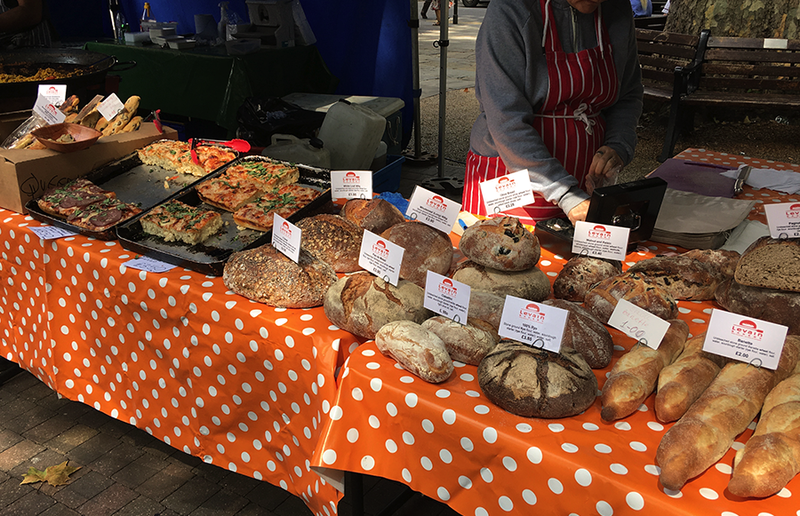 The food market is open every Tuesday and is based on the grounds of Kings Collage hospital at the Memorial Arch Square at Kings College’s Guys campus. This square is a green oasis of calm where you will be able to pick up a bite for lunch, as well as shopping for fresh fruit and veg, meat, eggs, poultry, fresh fish, artisan breads and much more. Launched in 2012, the market has grown from strength to strength to become a not so secret local hotspot. A number of the pop ups are locally-sourced and stools are constantly changing, giving you reason to return! They also run a yearly ‘favourite stool of the year’ competition, with all of the vendors getting involved to try to win the coveted title. This year’s current winner is Pasta E Basta, which mixes up fresh batches of gorgeous smelling pesto and tomato infused pasta dishes. They serve fresh pasta, gnocchi and anything to go with it. Head chef Fabrizio makes his products fresh from his kitchen in East London, using freshly cracked free-range eggs, locally sourced meat and seasonal vegetables. 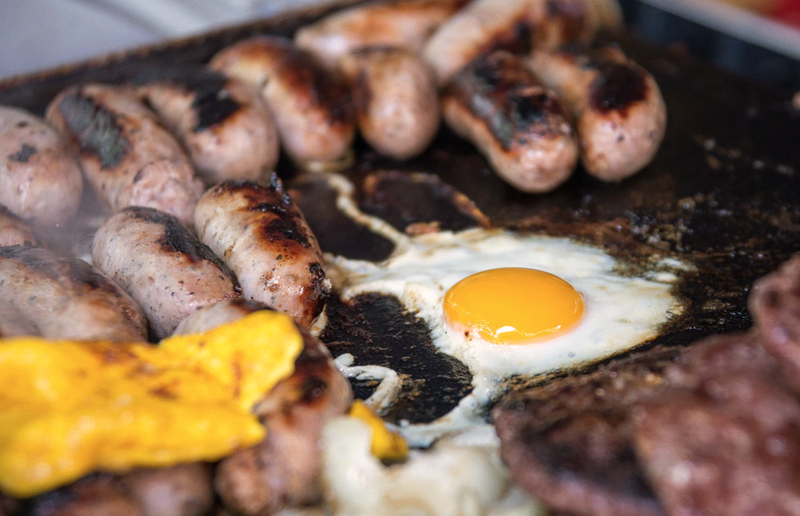 If you’re looking for something to get you through the day, you can pick up a breakfast bite too such as a sausage bap with a fried egg for under £6 from Picks Organic. The family run organic farm has been producing organic meat, vegetables and eggs since 1999, and you can taste the quality. 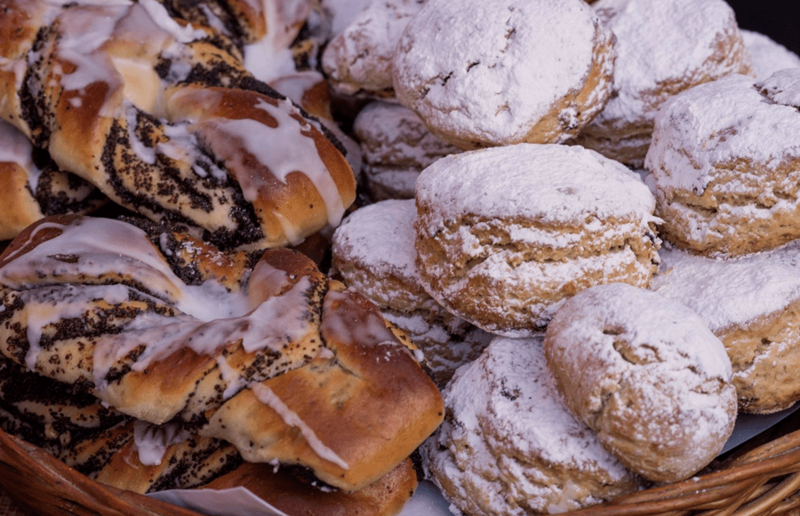 There’s also quiche, freshly baked bread and cakes… if you’ve got more of a sweet tooth, on offer also with a number of award winning options. Whilst the size of the square is drastically smaller than Borough Market, there’s ample for everyone to find something to enjoy, and we’ll bet you now you’ll struggle to choose what to have for lunch next time! The London Bridge Farmers’ Market is every Tuesday 9am-2pm.